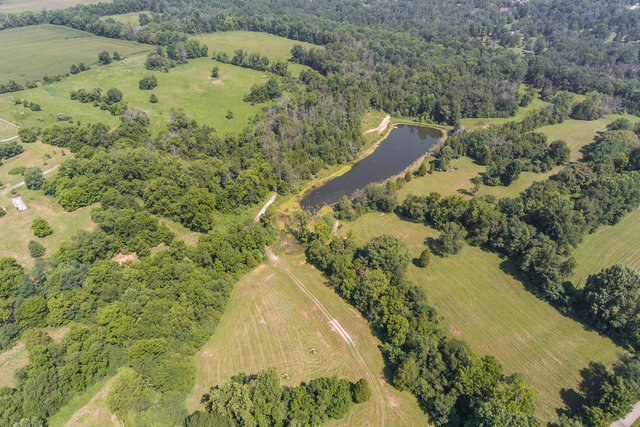 Exceptional opportunity to purchase 106 acres of prime land located on Old Zaring Road locally conveniently in the Crestwood /Brownsboro area only minutes from I-71. This pristine and beautiful property features @2700 feet of frontage on scenic Darby Creek, a major tributary that flows into Harrods Creek. Water flows from a old stone spring house into the large stocked lake nestled in a hidden valley attracting wildlife to its shores. A mixture of rolling pastureland, woodland hillsides, and an occasional waterfall add to the character of this highly desirable property. Improvements include an Amish built equipment building. Currently zoned agriculture the farm has been divided into four 6 to 9 acre tract, one 11.5 acre tract, and the residual 66 acres, however,the seller desires to sell the 106 acres in it’s entirety. Some minor restrictions will apply.